The Department for the Environment has unveiled a new action plan to tackle the outbreak of ash dieback, but admits it cannot eradicate the disease. More than 100,000 newly planted and nursery trees with ash dieback have already been destroyed, but mature trees will not be burned because they are important for other wildlife and may help identify resistant strains. Some 129 sites are now confirmed as being infected after an unprecedented nationwide survey involving around 500 people. Fifteen of these are in nurseries, 50 in recently planted sites and 64 in the wider countryside. Cases have now been reported in Sussex, Berkshire, Lincolnshire, Yorkshire, Bedfordshire, Northumberland, Norfolk, Suffolk, Kent and Essex. Several National Trust sites, including Ashridge in Hertfordshire, have put up signs as an extra precaution to prevent the disease spreading. Under the latest measures, affected new and young trees will be destroyed immediately and the search for the Chalara fraxinea fungus that causes ash dieback fungus will widen to include towns and cities. Defra officials have worked with the Forestry Commission and other agencies to find the best way to contain the spread of the disease. 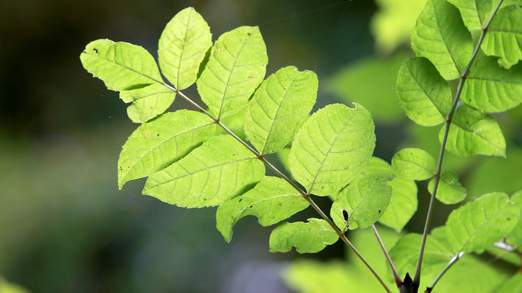 The public, along with foresters, land managers and environmental groups, will be told how to spot ash dieback and what to do if they find it. Experts are also searching for trees that have a genetic resistance to the disease that could provide stock for a new breeding programme. Environment Secretary, Owen Paterson, admits it is impossible to wipe it out now that it has been found in mature trees but insists the ash can still be saved. “If we can slow its spread and minimise its impact, we will gain time to find those trees with genetic resistance to the disease and to restructure our woodlands to make them more resilient,” he said. “We now have a window of opportunity for action because the disease only spreads in the summer. This entry was posted in Ash tress, Nature and tagged conservation, nature, Owen Paterson, RSPB, woods. Bookmark the permalink. So Mr Paterson has got interested in the genetic resistance idea. I hope that does turn out to be useful.